IRS Questions.org is now Online. We look forward to the accumulation of a great wealth of information to assist you with your IRS Questions regarding your Income Tax Return. I look forward to working with all of you to research and learn more about our beloved Internal Revenue Service. Face it, we all need all the help we can get because of the complexity of our Nation’s Income Tax Law. This is the real reason I want to know more about the subject so that when IRS Questions come up I’ve got the best answer handy. All us on this site will benefit. Feel free to comment on any subject, I look forward to working together to build a great site! If you sell your home and make a profit then you will have to pay capital gains taxes. I’m not sure about a homestead, if it is treated differently. Does anyone else know. My understanding was if within a short period of time you purchase a home for more than what yours sold for then you did not have to pay capital gains taxes. Keep in mind I’m not giving legal tax advice and I’m not licensed I’m just trying to help with the knowege I know. You are ultimately responsible for your taxes. I have a payment agreement with IRS for 2006 back taxes (joint agreement with my husband for our joint back taxes). We are now separated. I filed Head of Household in 2007 and paid those taxes in full. I plan to file that way again for 2008 and, according to my estimates, I may be due a refund. Will the IRS apply that refund to the 2006 back taxes? I’ve researched your IRS Question and I believe this page at the IRS Website may answer your Question. I hope this helps you. The statement that may apply is “IRS will automatically apply the refund to hte taxes owed.” on the 3rd bullet point. my son turned 18 in april 2008 and my ex-husband does not pay child support anymore, my son is a full time college student and lives with me. Can I claim him on my tax returns for 2008? I have contributed more than 50% of my child’s support and my son has always lived with me. You are in almost the same spot I was when I was a single dad. I was able to claim my daughter as I had her for most of the year. I did have to make sure that my ex also did not claim her. If both claim then there will be problems. This IRS link applys to you. Good luck Karen, being a divorced parent was one of my toughest jobs I’ve ever done. I have a home that has been on the market for two years and no buyer. I was considering renting it until the market improves. The fair market value as a rental is about $1500 per month. Our local volunteer fire department building was destroyed by fire. It is a nonprofit organization with tax status which allows them to give value statements for donations. I have leased the house to the fire department for $1.00 per year as their headquarters. Can I take a deduction for the rental value? years for everything but this link inside the IRS Website is the official IRS Answer to your question. It is more complicated than just 7 years. Good Luck and I thank you for servng our country. I do know a little about this subject as I also own ITINNumber.org A definition of the ITIN Number is there. OK back to your question. Yep you guessed it, you will need to know more about the ITIN or Individual Taxpayer Identification Number. I’ve found the link for the ITIN Number here. Mark, I wish you a long happy marriage. Good Luck. Once again I am not a trained Tax person able to give Tax advice. I am not giving you legal advice. Remember it is your responsibility to know the law. I’ve looked your question up and it sounds like who ever ows the child support can arrainge for any tax refund due to them to be directed to the other parent. They also address remarried people where they file joint but one party doesn’t want to be responsible for the debt. Here’s the link I’ve found into the IRS Website. I am in the army and was transferred my home is finally selling but it looks like about $90,000.0 below what we owe will I have to pay taxes on that? First of all I want to say thank you for your service to our country. I have 4 young children and I do fully believe that we have our freedom as a result of others sacrifice. I thank you from the bottom of my heart. I pray to GOD to watch over you, your family and the rest of the people you serve with. Regarding your question about paying taxes on the sale of your old home, your home was your capital and you did not have any capital gains. Actually you had a capital loss and according to the link I’ve found inside the IRS website you can write your losses off as a capitol deduction. It was listed under capital gains and losses. Remember I’m not trained in Taxes I’m just learning together with you and the final responsibility to know the law is yours. in 1988 or 1989 i had a tax lein, the lein was taken care of day after I was notified, it’s still on my credit, and I can’t find the canceled check where I payed. can you find my record of this satifaction of payment, and fax me a statement to this. my name is Mary Ann Prevatt please let me know asap, I am trying to get a loan and they won’t loan me the money until I show them proof it was paid. Remember I am not working for the IRS I am just a citizen that wants to learn and is willing to look things up and share IRS Questions with others. I have edited your personal information out of your request. I looked into how you can get proof that you no longer have that lien. What I found may not be the complete solution but It is my best guess. The IRS has a document you can request called a Certificate of Release of Federal Tax Lien. The instructions say to call 1-800-913-6050 or write. In your case Mary Ann goto this link read it and call them ASAP. Good luck Mary. Please let me know if this was the solution to your IRS troubles. I can feel your urgency. I looked all over the IRS.gov site for the answer to your IRS Question and the only thing I could find was this basic link about how to file. 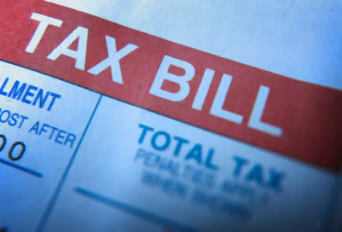 This link is an index to additional information regarding IRS W2 issues. It really suprised me to see the IRS sending you to the SS dept. Jacque, please let me know if this was the final answer or if those people give you the correct proceedure please share it with us. The tax period for 2008 ends the last day of 2008. So any transaction in 2008 is to be claimed on your 2008 tax return. That is assuming your taxes are per the calendar year and not a business fiscal year. So for your 2009 taxes make sure you pay them in 2009 and then both tax payments your 2008 and your 2009 will be claimed on your 2009 return. Remember this advice is not from a professional tax person. I’m not giving legal advice and ultimately you are responsible for knowing the law. If you have children with someone and live with them and have no income, can that person claim you as a dependent if you are not and have never been married? The IRS website has a definition for a “Qualifying Relative” that may answer your question. The IRS website states there are four tests for a person to qualify as a relative. I’ve listed them below as well as the link to the source which is called publication 501. 1) Not a qualifying child test. 2) Member of household or relationship test. The father of your children must have lived with you all year to be a qualified member of household. This is the link where you will find this spelled out a little more than half way down the page. Thank you for your IRS Question. I’ve looked this up on the IRS site. You can confirm yourself if there are any other details. I am not a tax professional and this is not legal advice I am giving. You are responsible to know the law as stated in the IRS.gov website. Hello; I’m so glad I found your site! My fiancé was informed 6 weeks ago that he owed the IRS back taxes from 2005. In 2005, the Navy filed his taxes for him, as he was moving from state to state, before settling in Florida. At first, they told him he owed $1600. He sent the IRS copies of his ’05 return, then they informed him that they made a mistake and he only owes $150.00. He has now paid the IRS the $150.00. We recently made an offer to purchase a home, but we’re scared to death that the title company will see that he owed back taxes and the deal will fall through. Is that even possible? Why did it take so long for the IRS to contact him about this 2005 tax issue? Is it considered a lien? Also, he had an outstanding VA bill two years ago, and the government deducted what he owed the VA from his tax return. Will these issues prevent a successful home closing? My wife worked only in January and Feburary in 2008. Is there a minimum amount for which we are not required to file her W2? Sorry about the comment that got cut off before. ill repost it under. hi I have a ? regarding health care benefits. I see two numbers that seem to be the cutoff points $3000 and $400.00. The $3000 talked your total earned income credit and recieving a stimulus payment or rebate. But, I would do what a line says from the link to the IRS page titled “Do you Need to File a Federal Income Tax Return?”. Don’t leave any money on the table as I’m sure you could use it these days. Here’s the link to this document from the IRS.gov website. The Certificate of Release of Federal Tax Lien may be just what you need. Look above for the answer I gave Mary Ann. There is also a phone number to call in my answer above. I’ve worked in more than one state before and had to pay state income taxes to two states. Outch, I’m not looking this one up as I had to pay! You are lucky you don’t have to pay Nevada income taxes. That must be really nice. California is going to spoil it for you. Remember, I am not a trained tax professional and do not give legal advice. It is your responsibility to know the law. You have an interesting question. I’ve looked under FAQs for government entities regarding Cafeteria Plans. If you just go by the definition given under Fringe Benefit Overview is sounds like you are ok. But, I’ve just got an uneasyness about using the pretax dollars and never claiming them. Go see a lawyer to make sure on this one. here’s the link to the Fringe Benefit Overview page. OUR DAUGHTER IS A FULL TIME STUDENT BUT SHE TURNED 24 ON 12/24/08, CAN WE STILL TAKE HER AS A DEPENDENT ? I AM NOT RETIRED BUT I ROLD OVER PART OF MY PENSION TO ANOTHER IRA. IT WAS ALL DONE ELECTRONICALLY. DO I NEED TO REPORT THIS AND IF SO, HOW ?? THANK YOU. Regarding your daughter’s status as a dependent. The way I’ve read the IRS documents regarding this you will not be able to claim her as the IRS definition for Qualifying Child says “under 24”. If she was a week younger you could have claimed her. Here’s a link to my research under my Dependent Question posting. Regarding your IRA, I’m guessing you are all ok as no dollar values changed. Hi – apologies if this has been asked before but my husband has a UK State pension (equivalent of US social security) and I don’t know where to report it. Turbo Tax doesn’t have an answer for this. Last year I reported it as ‘other income’ and it was heavily taxed. In the pensions/ss part of the 1040 it doesn’t give much idea of where to report it. Can you help? I’ve seen this question on a few sites and no-one seems to know the answer. I negotiated the pay off of two credit cards. Now the credit card company has sent me a 1099 for the amount that was discounted by the credit card company. I feel i am being required to pay income tax on the interest that the credit card company adjusted. How is this income to ME? I think I found some information for your case of having a pension from another country. The IRS has s section called “The Taxation of Foreign Pension and Annuity Distributions” article. Generally it says that the pension or annuity of most countries where we have a tax treaty are to be taxed at the rate of the domestic laws of that country. This might be able to save you some money! Here’s the link to the IRS Website’s article for your question. Good luck and come back and post if I was able to save you some money. I am in the Army Reserve now I returned from deployment to Iraq in Oct 07, I filed taxes and never received a stimulus payment. Being we were in Iraq tax-free does this mean I am not eligible to receive this benefit? I’ve asked my fellow soldiers and it seems that’s only the married ones and the ones with kids got the payment all of us single soldiers never received it.if we are eligible for this, can we claim that this year? Thank you for all your time in advance we appreciate it. Are benefits received from job insurance, such as LECMPA, taxable if it they are 100% funded by the individual? The company neither offers nor pays for any part of it. I can’t find anyone who can answer this. Thanks. My daughter is 17 and has her first job. She made less than 5000.00. Should she file? How will this affect her parents? How can I file for taxes on my child if someone has filed ? And the child lives with me. Please help. When you owe someone and the debt is reduced it is similar to a gift. Remember when you owe, you owe. We are taxed on gifts we receive. If the entity that you owe takes less and calls it even you have been given income to offset the debt. I didn’t look this one up but the logic just seems very clear to me. What they did for you was the same as writing you a check to balance the books. My Disclaimer: I am not a professional and do not give legal advice; it is your responsibility to know the law. Theresa, I’ve answered your question in my IRS Questions about Dependents posting. Here is the link, when there just look for your name. It took a bit just to learn what the LECMPA was and I couldn’t find out exactly what benefit you had and what the IRS states. I did find a link for you where they give a link to email questions to them. It seems the LECMPA is a very specific type of Job Insurance for the transportation industry. Here is a link to their website. After you click on Transportation Employees look about 2/3 of the way down on the left there is a link to contact them. The IRS website has a table1.2008 that states that anyone single and earning at least $8950 must file a Tax Return. In your daughter’s case earning less than $5000 she should not need to file. Here is the link to the “Who should File” section from the IRS.gov website where you can look for yourself. Remember, I’m not a Tax Professional and do not give legal advice. It is your responsibility to know the Law. my wife’s and my w-2 show 37,806 in income and we have one 12 year olde daughter. to qualify for an EIC of 2900 we need to reduce this to 36,995. if we start an IRA for $1000 march 1st will we lower last year’s income enough to qualify? I got a W2 from Delta Airlines based on Atlanta Georgia. I live in Houston Texas. Do I have to pay taxes in Georgia State? HOW DO I GET MY W2FORM WITHOUT GOING INTO MY OLD WORK PLACE.I HAVEN’T MOVED SO SHOULDN’T THEY MAIL IT? IF I GIVE MY CHILD A TOTAL GIFT OF 10,000 DOLLARS THROUGH OUT THE YEAR, HOW CAN I DEDUCTED IT? (AND WHERE DO I CLAIM IT?) AND DOES THE CHILD NEED TO CLAIM THE GIFT? A client has found out that 2005 and 2006 sub s tax returns were not filed with the IRS by mistake or error, however personal income tax filings were made for those years and the taxes were paid by the client for the Sub S Corporation. The client is a 100% shareholder of the Sub S Corp. We need to file the returns and provide evidence that they were filed but late. Can we go to the local IRS office and have them stamped recieved. A third party is requesting prompt evidence of the filing with the IRS. If i give my son a bonafied gift of money ,can i claim adeduction and where would i claim it ? I have a 529 that I am custodian for, my daughter is the beneficiary. She is now in college and last year, we made some withdrawals where the checks were cut in my name or her name, to reimburse us for books, college expenses, etc. By doing this, we received 1099’s. Do we need to claim this as income? I called the 529 fund and they said as long as we used it for college expenses, we do not, it’s only necessary to do so if we used the money for anything non college related. Please advise. The question deals with maximum amount of retirement funds that one can deduct when switching from a salaried employee to an independent contractor during 2009. During 2009 I switched jobs. I worked from Jan 2009 to Jun 2009 as a physician for a medical school which I had deducted deducted the maximum amount for my 403b retirement account and the special 457c retirement account for education institutions. I was able to put $10,000 into my 403b account and $12,000. into the 457c account. I am 55 years old. At the end of Jun 2009 I terminated my employment with the medical school and became employed with a government hosipital as an independent contractor. I will make approxiamately $85,000. from Aug 2009 to Dec 2009. What is the maximum retirement amount that I can setup for the salary that I made as an independent contractor during 2009. If I buy individule health insurance for myself and spouse – is the money I spent returned to me when I file my taxes? Citizenship. Her father who resided in the States is deceased, and her mother currently resides with her in Canada. If she is to receive a benefit from this date to her 18th birthday, based on her fathers tax contributions, will the daughter be taxed for the said benefits once she reaches age 18 and the benefit has ceased payment?